KUALA LUMPUR: Malaysia is a country that practices a constitutional and not an absolute monarchy, says Prime Minister Tun Dr Mahathir Mohamad. Dr Mahathir’s remarks comes soon after Johor’s Sultan Ibrahim Ibni Almarhum Sultan Iskandar statement, who asked certain quarters to stay out of state affair. He said that while Johor may have its own state constitution, they have agreed to be part of the country’s administrative system. “This is because the rakyat has chosen the party that has the right to pick the MB – and if the Rakyat’s right is denied, we are no longer a democracy. “We will become a country that practices absolute monarchy,” said the Prime Minister. Dr Mahathir suggested that there should be debates on whether to accept the present system of constitutional monarchy. PETALING JAYA: Yang di-Pertuan Agong Al-Sultan Abdullah Ri’ayatuddin Al-Mustafa Billah Shah has condemned the terror attack at two mosques in New Zealand that has left at least 49 people dead. Describing the incident as a senseless act against innocent civilians, the King said those responsible should be brought to justice. “Our thoughts and prayers for the injured and those who are mourning the loss of loved ones,” the Palace said in a statement issued by the Comptroller of the Royal Household Datuk Ahmad Fadil Shamsuddin. 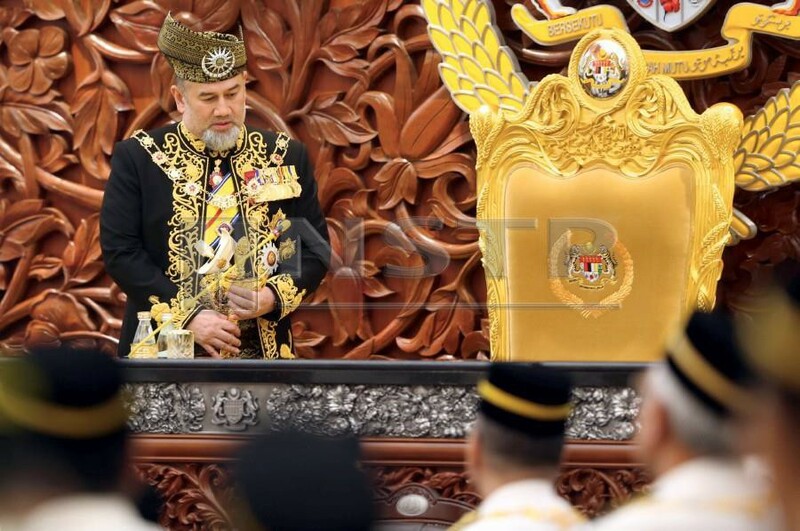 KUALA LUMPUR: The Sultan of Pahang Al-Sultan Abdullah Ri’ayatuddin Al-Mustafa Billah Shah is set to take his oath and sign the instrument of office as the 16th Yang di-Pertuan Agong at Istana Negara tomorrow. According to the Federal Constitution, as the nation’s head of state, the Yang di-Pertuan Agong plays a role in the three branches of government, namely the executive, legislative and judiciary. Legal practitioner and former socio-cultural adviser to the government Tan Sri Dr Rais Yatim is confident that, in carrying out his duties as stipulated in the constitution, Sultan Abdullah’s leadership qualities would come to the fore in cementing the institution of the Yang di-Pertuan Agong and constitutional monarchy. Pointing to the fact that the term Yang di-Pertuan Agong is mentioned more than 450 times in the constitution, he said this alone reflected the crucial role played by the institution in the administration of the nation, as well as in ensuring the well-being of the people. This is because the decision pertaining to the election of the Pahang ruler was made barely a week after he was proclaimed Sultan of Pahang on Jan 15. Rais said Sultan Abdullah did not only possess extensive experience in state administrative matters but also boasts an educational background that can be considered universal, modern and practical, besides being rooted in a strong religious upbringing and Malay cultural environment. “I’m confident that His Majesty will bring (more) development and glory to the nation. 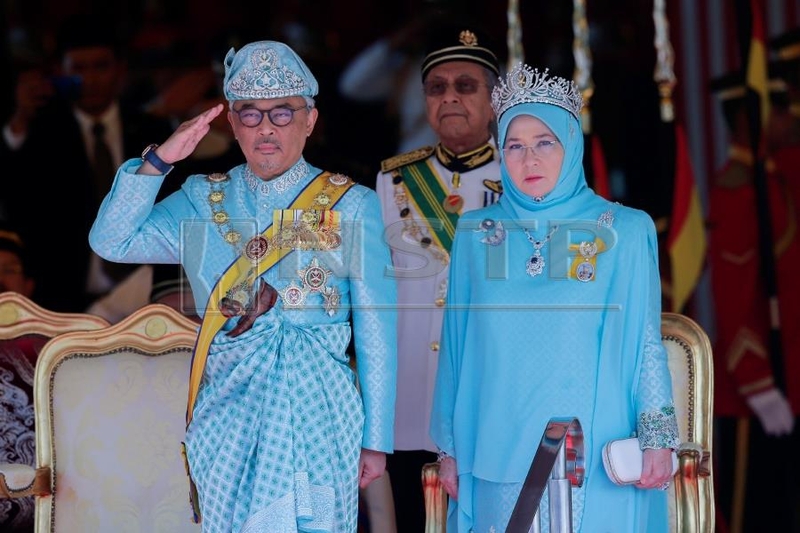 His Majesty has also proven his loyalty to the rule of constitutional monarchy in Pahang and we believe he will continue to excel at the federal level,” he said. He is married to Tengku Ampuan Pahang Tunku Hajah Azizah Aminah Maimunah Iskandariah Almarhum Almutawakkil Alallah Sultan Iskandar Al-Haj. Their marriage took place on March 6, 1986. Rais also expressed hopes that as Yang di-Pertuan Agong, Sultan Abdullah would take into consideration certain key issues in the constitution, such as Article 152 pertaining to the status of Bahasa Melayu as the national language and language of knowledge. “For matters involving the Malays, Bumiputeras and national language including culture, I hope His Majesty would stress on their importance… this is because many people are not serious about these provisions that are enshrined in our constitution. “Article 160(2), for instance, defines a Malay as a person who professes the religion of Islam, habitually speaks the Malay language and conforms to Malay customs. Since the definition of Malay comes in three components, I hope it will once again be made a priority through His Majesty,” he added. Rais said the firm action of the Yang di-Pertuan Agong in relation to matters concerning articles 153, 152 and 160 of the Federal Constitution would create a more harmonious society because every individual, regardless of race, would know their respective roles, responsibilities and rights. “Our nation’s institution of monarchy will be strengthened through the more distinct and bigger role shouldered by the Yang di-Pertuan Agong,” he added. 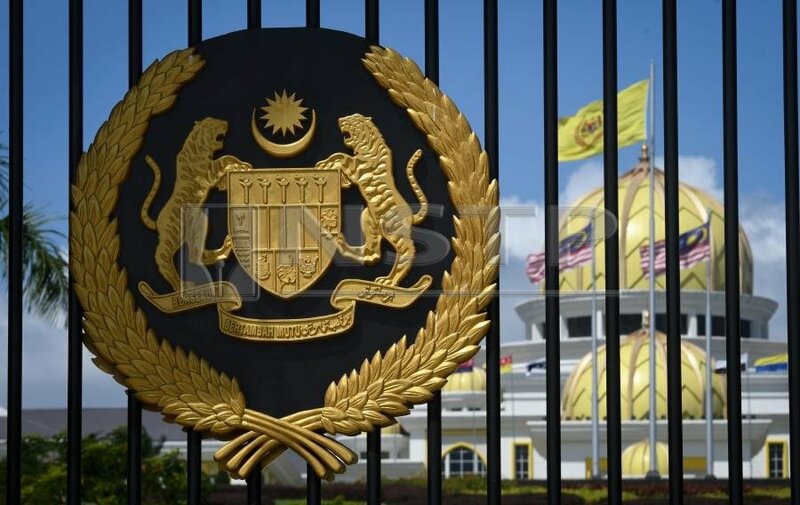 International Islamic University of Malaysia law lecturer Prof Dr Nik Ahmad Kamal Nik Mahmod, meanwhile, said the rakyat must pledge their loyalty to the Yang di-Pertuan Agong and nation as stated in the Rukun Negara. “The sovereignty of the institution of monarchy is not just based on the fact that it is the nation’s supreme institution but also on the understanding that the Yang di-Pertuan Agong safeguards Islam and special privileges of the Malays and the Sabah and Sarawak Bumiputeras. His Majesty is also responsible for safeguarding the rights of other communities in Malaysia. “Any form of insult or unwarranted criticism against the monarchy is considered an attempt to tarnish the reputation of the institution. Legal action must be taken against the culprits involved,” he said. Asked how the Malay saying, ‘Raja dan rakyat berpisah tiada’ (There is no separation between ruler and his people) can be revved up in the current scenario, Nik Ahmad Kamal said it would need the cooperation of all parties. “In today’s context, the relationship tradition between the two has entered a more challenging phase because the current generations are less sensitive towards the monarchy and nation. “As such, the people, the government and non-governmental organisations, as well as the institution of monarchy itself, should work together to nurture a better understanding of the importance of this institution so that it will continue to be respected,” he explained. A NEW sun rises on the horizon, shimmery and indistinct. It’s a new day, like many others that have come and gone before it. The only difference is, by the end of today, Malaysians will have a new king. The royal institution holds, and will always hold, a certain fascination, a certain je ne sais quoi, among Malaysians. Over the decades, the Malay rulers have become more familiar to us as they interact with their loyal subjects, aided in no small measure by the mainstream media and social media. Despite that familiarity, there still exists a fair bit of unfamiliarity; a certain amount of mystique and fascination with what goes on behind the ornate doors of the gilded halls. Today, that public fascination will reach its zenith as the Conference of Rulers convenes to vote on who will be the 16th Yang di-Pertuan Agong following the resignation of the 15th Yang di-Pertuan Agong, Sultan Muhammad V of Kelantan, on Jan 6. With a rich history steeped in tradition that dates back 123 years — from the Conference of Rulers of the Federated Malay States back in 1896 — the deliberations today are still shrouded in a thin veil of mystery, as it was back in the nascent days of the Malay royal institution. What is known is, the peer voting system uses unmarked and unnumbered ballot papers, using the same ink, and the same type of pen. Each ballot is a closely guarded secret. The Keeper of the Rulers’ Seal will distribute the ballot paper with only one candidate’s name on it. 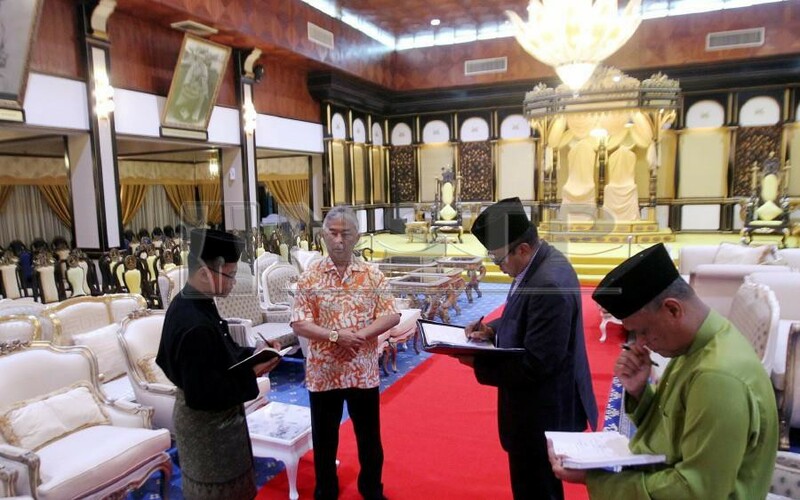 Each ruler will then indicate whether the candidate should be elected Yang di-Pertuan Agong. The ballot papers are then placed inside the ballot box. The candidate must get a majority of five votes before the ruler presiding over the Election Meeting offers him the office of the Yang di-Pertuan Agong. Tabulating the votes, along with the Keeper of the Rulers’ Seal, is the ruler with the shortest reign who is not a candidate for the office of the Yang di-Pertuan Agong or Deputy Yang di-Pertuan Agong. In its current form, the Conference is made up of the nine rulers from Johor, Selangor, Negri Sembilan, Perak, Kedah, Perlis, Pahang, Kelantan and Terengganu, and governors of four other states. The governors will not be present when the conference convenes to select the Yang diPertuan Agong and the Deputy Yang di-Pertuan Agong. Odds-on favourite, and under the unique constitutional monarchy rotation system adopted by the Conference, is Sultan of Pahang Al-Sultan Abdullah Sultan Ahmad Shah, followed by the sultans of Johor and Perak. In these increasingly uncertain, often turbulent times, Malaysians look to the monarchy for some measure of stability, a sense of security and continuity. The Yang di-Pertuan Agong is more than just a symbol of the nation’s sovereignty. The Yang di-Pertuan Agong is the barometer by which the nation measures its morality. He is the nation’s Conscience, its Consciousness. As the nation holds its collective breath, we beseech the blessings of the Almighty. KUANTAN: Tengku Panglima Besar Pahang Tengku Hassanal Ibrahim Alam Shah Sultan Abdullah could possibly be made the Tengku Mahkota Pahang in place of his father. Sources said this was because it was tradition for the sultan’s eldest son to be made Tengku Mahkota of Pahang. Tengku Hassanal Ibrahim Alam Shah was born on Sept 17, 1995, at the Tengku Ampuan Afzan Hospital. He is the third child of Sultan Abdullah and Tunku Azizah Aminah Maimunah Iskandariah. 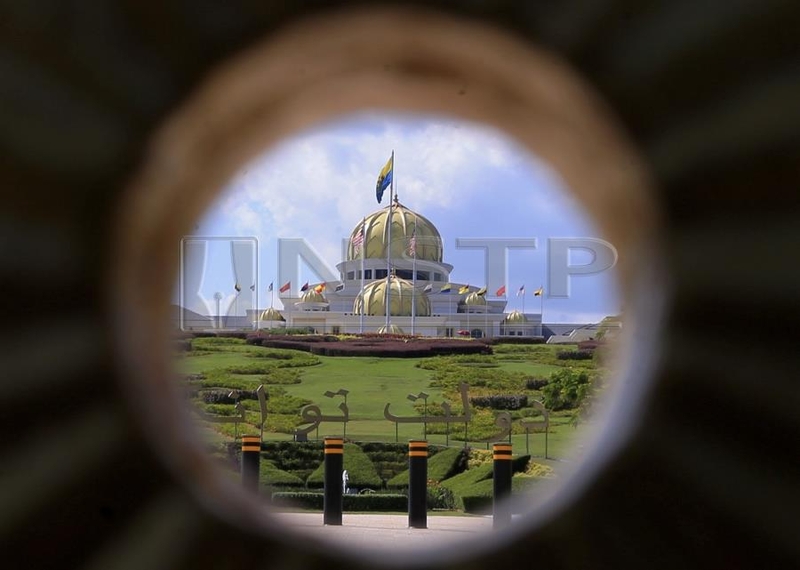 “According to tradition, the Tengku Panglima Besar is usually appointed Tengku Mahkota Pahang, but an official announcement will only be made by Sultan Abdullah after the process of his installation (as sultan) is completed on Tuesday. “If there are special circumstances (such as Sultan Abdullah later being elected Yang di-Pertuan Agong, meaning the Tengku Mahkota would have to be appointed regent of Pahang), then Sultan Abdullah may choose to appoint a special council as the Tengku Panglima Besar is currently furthering his studies at the Sandhurst Royal Military Academy in the United Kingdom for a year. “Such a council may be put in place for between a year and five years, depending on what Sultan Abdullah wishes. Its members will be determined by Sultan Abdullah,” said one source. 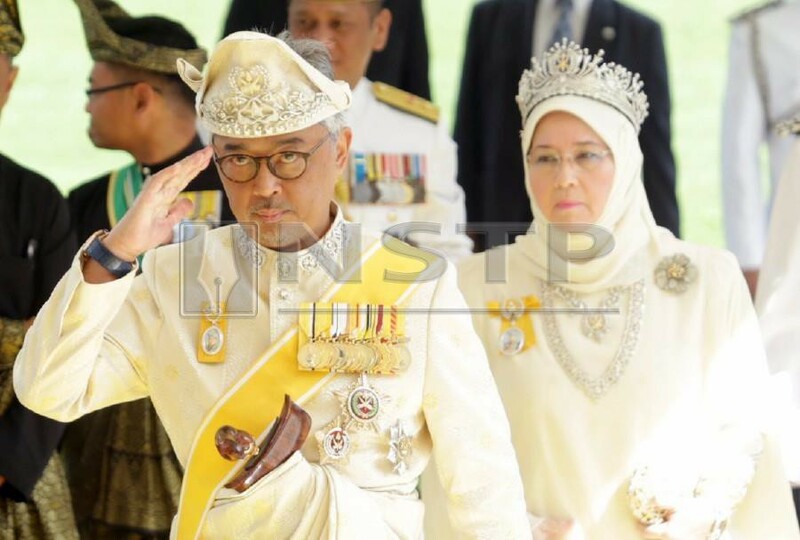 Tengku Muda Pahang, Tengku Abdul Rahman Sultan Ahmad Shah had on Saturday announced that the Pahang Royal Council had proclaimed Sultan Abdullah the sixth Sultan of Pahang. SULTAN of Kelantan Sultan Muhammad V has stepped down as the 15th Yang di-Pertuan Agong, according to a statement issued by the Comptroller of the Royal Household Datuk Wan Ahmad Dahlan Ab. Aziz yesterday. On Jan 4, the New Straits Times front paged a report, “An unscheduled meeting” of rulers that may have discussed the king’s resignation. Now it has come to pass, and in a very decorous manner as the sanctity of the royal institution would demand. Sure there was speculation earlier, especially in the not so decorous world of the cyber space, but it has been put to bed with the speed with which many will say Malaysians are not accustomed to. Neither protracted discussion nor prolonged delay was given space to allow speculation to take hold. We are thankful to Istana Negara for the speed with which the message was relayed to the people. Nothing beats resolution of an issue of national importance that is done with quiet propriety. It was decorum to the tee, we have to say. The rulers have always endeavoured to preserve the sanctity of the royal institution. There were blips on rare occasions, but they were resolved as quickly as they appeared by the brother rulers. Having had 15 kings with smooth succession is something that makes Malaysia stand tall among more than 190 nations in the world. Our rulers must be thanked for this. Our nation may be new but our monarchy is much, much older. Other nations more developed have had a fair share of constitutional problems. A few of them were resolved not so much in the favour of their monarchs. Malaysia has been spared such unhappy results. The nation is nevertheless overcome by surprise. Of the 14 kings Malaysia has had in the past, none had resigned his office. So the national bewilderment is understandable. This paper makes a stand that the king is stepping down, not abdicating as some have put it. This must be put right. Malaysians, though, are not unused to surprises anyway. Last year brought with it the greatest of surprise: on May 9 the Pakatan Harapan government swept to power to the befuddlement of close to 30 million Malaysians. The Pakatan Harapan party members, included. This royal resignation, though first in the young history of this nation, will pass as the country moves forward with the management of its affairs. THERE are 26 monarchies in the world — nine of them in Malaysia — with varying nomenclature. Notwithstanding this, the world gets Malaysia’s monarchy wrong. At times, fundamentally wrong. Take the simple case of the king stepping down as it happened on Sunday when Sultan Muhammad V of Kelantan resigned as Yang di-Pertuan Agong. Many newspapers here and around the world termed it abdication. They could not have been more wrong. It is a case of being wrong so long that you think it is right. The more discerning would use the word “resigns” or semantic variations thereof. It is a distinction with a difference, we insist. The New Straits Times said it as it is yesterday: the “King steps down.” It bears repeating that Malaysia is a constitutional monarchy with nine hereditary sultans electing from among themselves a Yang di-Pertuan Agong for a five-year term. On completion or otherwise the sultan returns to his state as a monarch. Or in the case of Sultan Muhammad V, he returns to his state as the sultan of Kelantan. To speak of “abdication” in the context of Malaysia’s monarchy is incorrect. Elsewhere in the world where monarchy reigns, “abdication” it would have been. We are neither Spain nor Japan. Our monarchy is of native mint. Our sultanate is not only unique, but is one of the oldest, too. Hikayat Merong Mahawangsa, otherwise known as the Kedah Annals, names the Kedah sultanate as one of the oldest in the country when King Phra Ong Mahawangsa ascended the throne as Sultan Mudzafar Shah in 1136. The sultans ruled their states in more or less the same form until the British made Malaysia a federation. Here too, the rulers stood their ground when the Reid Commission attempted to dilute their powers in the draft constitution of 1956. Malays and Muslims of Malaysia owe their special position to the good fight the nine rulers put up against the British. The nine Malay hereditary rulers continue to wield considerable influence by way of the Federal Constitution. The evolution of the institution of the Conference of Rulers has an interesting narrative, too. Sometime in 1896 when the Federated Malay States was formed, Sultan Abdul Samad (Selangor), Sultan Idris Murshidul ‘Adzam Shah (Perak), Yamtuan Tuanku Muhammad Shah (Negri Sembilan) and Sultan Ahmad Mu’adzam Shah (Pahang) initiated a platform that can be said to be the precursor of what has come to be called the Conference of Rulers. The first such meeting — Durbar Conference — was held at Kuala Kangsar’s Istana Negara in 1897. Though the Conference of Rulers would not be created until Aug 27, 1957, the Durbar Conference must surely be the earliest form of the institution. The Conference of Rulers today plays an important role in bringing together the rulers and the ruled. (File pix) The political narratives and societal order components in the Federal Constitution are contained in the speeches of Tunku Abdul Rahman Putra Al-Haj on March 28, 1957 and June 25, 1957. POLEMICS on national identity in the local media are on the increase, provoking multi-racial Malaysians which can threaten the country’s stability, peace and harmony. This has to be seen as a threat because national identity is related to a state’s national core values and interests, as well as its national security, particularly the societal security sector. This perception is based on numerous findings by security scholars which include that “security and identity are two concepts that are deeply intertwined on many different levels, and cannot be separated”. First, national identity is “a person’s identity or a sense of belonging to one state or to one nation. It is the sense of a nation as a cohesive whole, as represented by distinctive traditions, culture, language and politics” (Paul Roe 2005, in Ethnic Violence and the Societal Security Dilemma). Second, national identity is an integral component of societal security, since societal security “is concerned with threats to its identity” (Paul Roe, the Societal Dimension of Global Security, in Encyclopedia of Life Support Systems). Third, “the organising concept in the societal security sector is identity” (Buzan et al. 1998, in A New Framework of Analysis). Fourth, national identity, in a plural country like Malaysia, also constitutes a crucial component in its state-making process, nation-building strategy, and national security management. Hence, agenda setters of the current polemics on national identity in Malaysia should be gently reminded that an improper framework in discussing national identity, especially through politicisation, is detrimental to Malaysia’s societal and national security. They should also be enlightened that societal order regarding Malaysia’s national identity has been enshrined in the Federal Constitution since Aug 31, 1957. The examples are Article 3 on the religion of the Federation, Article 32 on the Supreme Head of the Federation, article 152 on the national language and Article 153 on privileges of the Bumiputeras. “The eruption of violence on May 13 (1969) was the result of an inter-play of forces that comprise the country’s recent history. Detailed narratives and backgrounds to these articles and societal order are found in “The Report of the Federation of Malaya Constitutional Commission 1957”. They are also contained in literature such as, The Constitution of Malaysia: Its Development 1957-1977, edited by Tun Mohammed Suffian, H. P. Lee & F. A. Trindade (1979), and Document of Destiny: The Constitution of the Federation of Malaya, by Shad Saleem Faruqi (2008). The political narratives to the formulation of the Federal Constitution which include the above societal order are contained in the speeches of Tunku Abdul Rahman Putra Al-Haj, dated March 28, 1957 and June 25, 1957. The British perspective on the same subject is found in the speech of Alan Lennox-Boyd, British Secretary of State for the Colonies, when he was presenting the Federation of Malaya Independence Bill on July 12, 1957. The above “mirrors of history” are for Malaysians with syndromes of historical amnesia, especially those advocating constitutional amendments pertaining to strategic provisions on national identity being entrenched in the Federal Constitution. Advocates of amendments to the constitutional provisions must understand the “mirrors of history” before starting polemics on Malaysia’s national identity or its various components, including the concept of core nation and their special socioeconomic privileges. They also have to realise that polemics or even discourses on a state’s national identity, without a properly defined framework, might only end up in confusion, political chaos, disorder or disaster. As such, it is important to know that national identity is an abstract concept which becomes an important component of a state’s national core values and national security. This is the very reason why the national identity of a state is normally constructed, instituted and entrenched in its national supreme law or the constitution. Another significant aspect of national identity in a plural or state-nation is that it is the product of genuine inter-ethnic bargaining and consensus before the state was given independence by its colonial master. Based on most conventions, the national identity of a plural state is defined categorically in the state’s constitution after its major races have given agreement to it based on the principle of consociational politics of power sharing and also based on their social contract. One of the social contracts in the case of Malaysia is explained in Leong H. Liew’s book Ethnicity and class in Malaysia (2005) which stated that the non-Bumiputeras were awarded their citizenship rights in Malaysia in an exchange for their recognition of the legitimate rights of the Bumiputeras in the Federal Constitution. EVERY teacher of constitutional law is confronted with some complex questions in class. How entrenched are constitutionalism and rule of law in our society? Is there supremacy of law over rule of arbitrary power? Are there any effective controls on executive discretion? Is the legal system regulated by a system of checks and balances or have all the institutions for this purpose been co-opted by the political executive to serve its purposes? There are no simple answers. We have currents and cross-currents, and the picture is mixed. 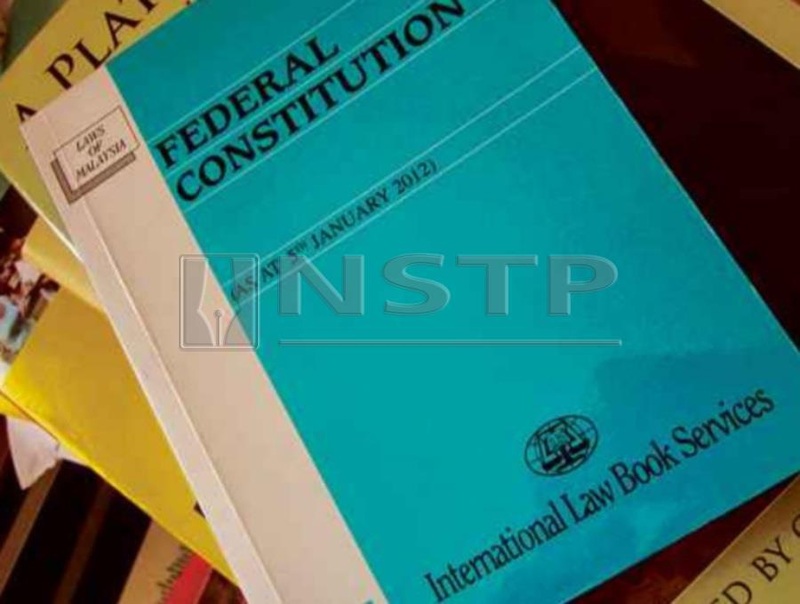 Constitutional and legal literacy: The rule of law is not a law but a system of values. It cannot thrive if those in power and those subject to the power of the state lack knowledge of and loyalty to basic values of the rule of law. The education system must promote constitutional literacy and respect for the rights of others. Constitutional supremacy: Despite the explicit provision for constitutional supremacy in Article 4(1), the legal system is replete with federal and state laws that confer absolute, subjective and unconstitutional powers on the functionaries of the state. Citizens’ challenges in the courts to these laws are generally unsuccessful. Judicial review of parliamentary and state laws is not a significant feature of our constitutional scene. However, there are winds of change and judicial review of executive acts has produced some scintillating judicial decisions. But judicial review of legislative enactments is rare. The “Islamic state” movement: Islam has a very exalted position in the Constitution but the syariah is not the supreme law of the federation. The Islamic state sentiment is widespread and though it has no basis in the Constitution, its political appeal, especially at election time, is immense. Even within the judiciary, a commitment to the Constitution is not unanimous and many civil court judges are swimming in the tide of the Islamic state. Federal-state division: Under the Constitution, not all matters of Islam are in state hands. Islamic personal law is in the State List but all other matters of Islam (like contract, tort and crime) are under federal control. Regrettably, many state assemblies are breaking free of constitutional limitations, trespassing on matters in the federal list and violating the fundamental rights of Muslims and non-Muslims alike. Most of the time the civil courts ignore Article 3(4), which states clearly that nothing in Article 3(1) derogates from any other provision of the Constitution. The judicial tendency is that on any matter with a whiff of Islamic law, the syariah courts have implied jurisdiction. State assemblies are passing laws on many matters like betting, gambling and homosexuality, which are outside their jurisdiction. On another plane, there are tensions in the federal government’s financial, political and administrative relationship with Sabah and Sarawak. The grievances of these states need to be looked into. Jurisdictional conflicts: The last three decades have seen painful, unresolved disputes between civil and syariah courts. Article 121(1A) gives autonomy to syariah courts in matters within their jurisdiction. The problem is that even when the 14 powerful syariah establishments exceed their powers or violate the Constitution or infringe fundamental rights, most civil judges refuse jurisdiction to entertain the complaint. The Indira Gandhi decision in early 2018 was a bold exception. Human rights: The jurisprudence of human rights is developing but is still in its infancy. Many liberties like free speech remain curtailed. Many laws enacted by Parliament ignore constitutional limits and confer absolute power on the executive. Fundamental rights do not apply in the private sector. The international law on human rights is largely kept at bay. However, there are also many encouraging judicial decisions that have interpreted human rights generously and prismatically and parliamentary restrictions narrowly. In line with this new jurisprudence, the expression “life” in Article 5(1) includes the right to livelihood and the right to continue in public or private service subject to removal for good cause and by resort to fair procedure. The concept of liberty in Article 5(1) is the basis of a right of access to the courts. Parliament: In our system of democracy, Parliament is supposed to perform a number of functions, among them the making of laws, the control of national finance, and the enforcement of accountability and answerability on the political executive. Regrettably, Parliament is largely a rubber stamp to the executive. It legitimates; it does not legislate. Powers to combat emergency and subversion: Preventive detention, anti-subversion and anti-terrorism laws under Article 149 abound. The Internal Security Act has been replaced with equally strict laws. Emergency laws under Article 150 lasted for about 47 years from 1964 to 2011. Emergency became the norm. Normalcy became the exception. Electoral process: The process of drawing up electoral lists, cleaning them up of unauthorised voters and delineating the constituencies in a fair and impartial manner is under the control of a supposedly impartial Election Commission. Until GE14, there was no transparency, impartiality and accountability about the Commission’s work. Affirmative action: Article 153 on the special position of the Malays and the natives of Sabah and Sarawak and the legitimate interests of other communities is a balanced and moderate provision of affirmative action hedged in by many limitations. Unfortunately, it has been used overzealously and employed by the elites to enrich themselves. Also, the system of affirmative action seems to have forgotten the orang asli and the natives of Sabah and Sarawak. Article 153’s implementation needs careful fine-tuning to honour its original purposes. Hooligan politics: In the last 15 years, hate speech, hooligan politics, religious extremism, enforced disappearances and political murders have marred our landscape. Corruption: There is a serious problem of corruption and the looting of public revenues by politicians and the higher echelons of the civil service. Corrupt practices hurt the poor, advantage the rich and subvert social engineering. Despite the above, one can harbour the hope that on the solid foundation that exists, we can build institutions, principles and procedures to strengthen constitutionalism and rule of law in our nascent democracy. In the new Malaysia after GE14, there is hope that the imperatives of the Constitution will become the aspirations of the people. You are currently browsing the archives for the Institution of Monarchy category.